Sony has decided to pull the plug on its PlayStation Mobile platform after nearly three years. Support for Android devices was put on the backburner in August as Android Lollipop was appearing, so the news isn't a huge surprise. 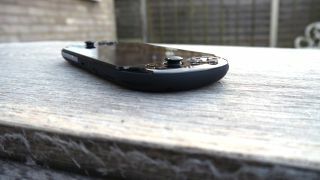 PlayStation Mobile is a central hub for classic games and indie releases, games that can be played across the PS Vita handhelds and certain 'PlayStation Certified' Android devices. The aim was to target casual gamers who wouldn't necessarily shell out for a console. In an official statement the electronics giant said no new content will be distributed after 15 July 2015, and in-app purchases and downloads are going to be disabled after 10 September. PlayStation Mobile for Android is also finally going to meet its end in September. If you want to carry on using your PSM content after 10 September then it will still be possible, though there are a few hoops to jump through: follow Sony's instructions to make sure you're registered before the cut-off date. Sony has given no reason for the shutdown - presumably there were just not enough users to make the platform worthwhile. "We would like to sincerely thank our dedicated PlayStation fans and the development community for their participation in PSM," adds the company. The mobile gaming landscape has certainly changed a lot since 2012 and PlayStation Mobile looks to be a victim of that change. Sony has also been making noises about streamlining its operations over the next few years, a strategy that this closure fits into.